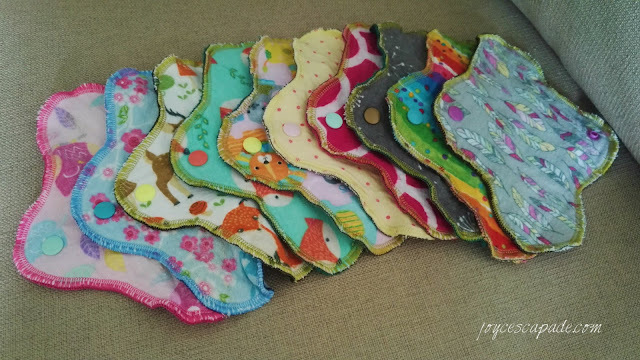 What are these pretty little cloth thingies? These are called cloth pantiliners. 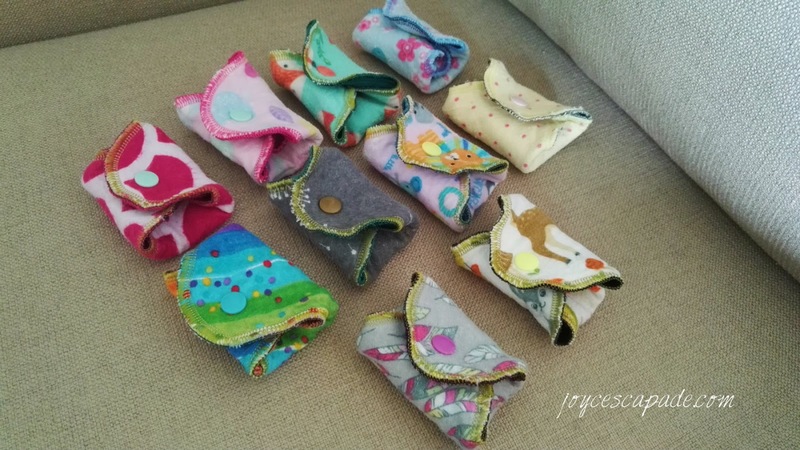 The ones shown in the photo above are Blossoms Pantiliners made by local mommypreneur, ByWiwin. I have 10 of these Blossoms Pantiliners and I absolutely LOVE them! I have been using them for the past three months or so. These super lightweight microfleece pantiliners are backed with pretty cotton flannel fabric and one-snap-button adjustment. I really like the matching colors of the cotton flannel (top photo), microfleece (bottom photo), and snap buttons. The side that touches your private part is the cotton flannel side. The cotton flannel print is so pretty and I just love to take my time to choose which one I want to wear every morning. 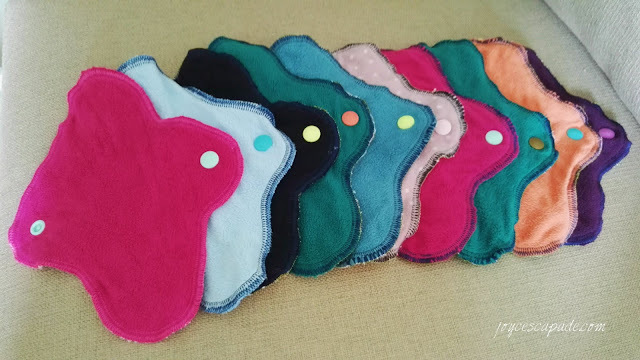 These pantiliners are good enough to keep me feeling dry and protect my undies from vaginal discharge stains. I used them daily during the third trimester of my pregnancy. 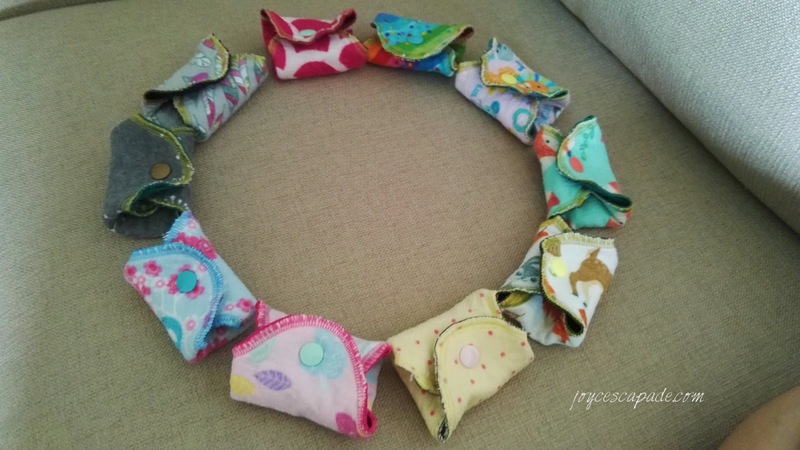 My lochia stopped three weeks postpartum so I've since resumed using these pantiliners daily. They are pretty easy to wash and dry too because they are thin and microfleece dries very fast. The cotton flannel takes a tad longer to dry but as long as there's sun/air, they dry up well. This is one way to fold used (also unused) Blossoms pantiliners. For health reasons of course! Disposable pantiliners are typically made with a combination of plastics, cotton, synthetic fibers (e.g. rayon), and wood pulp. Harmful chemical byproduct known as dioxin is found in disposable pantiliners and pads. Long-term usage of disposables causes side effects such as allergic reactions (rashes), hormone disruption, and women problem such as endometriosis (severe period pain). Oh my goodness!